Before leaving the Tucson area I took a few pictures from behind a fence of the AMARG (Aerospace Maintenance and Regeneration Group) boneyard. The facility stores thousands of planes that could be brought back into service if needed. 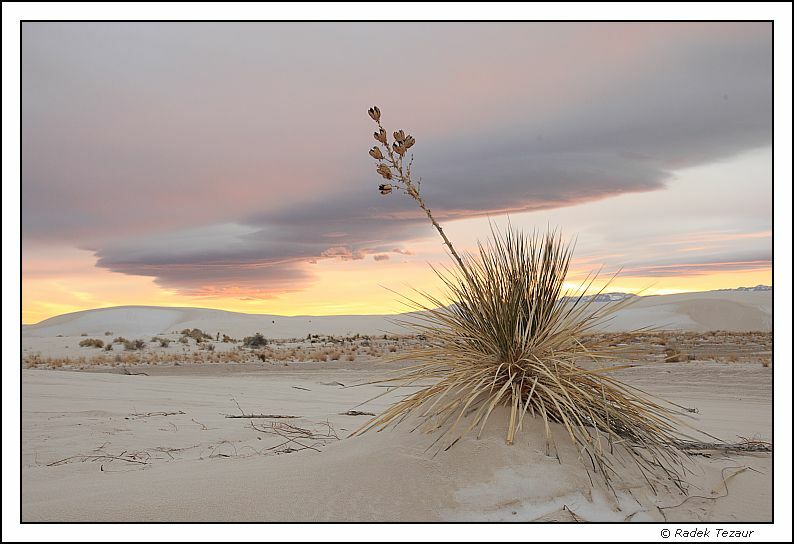 We continued though southern Arizona and southern New Mexico to White Sands National Monument. We were followed by bright sunshine the entire way until we reached the dunes. A short wave on the back of an earlier cold front, that brought snow to the area, was passing through kicking up a lot of wind and most importantly hiding the sun. At least and at last, the sun illuminated the clouds from below for a spectacular sunset.